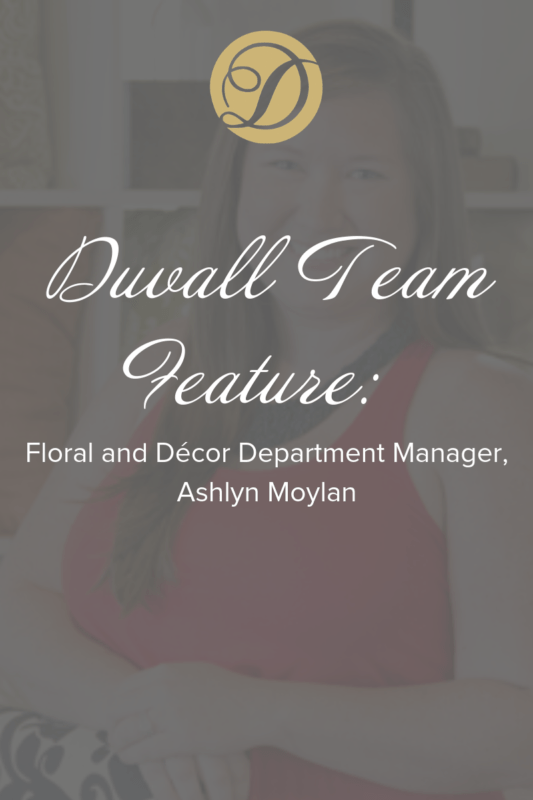 Our next team spotlight features Ashlyn Moylan, our beloved Floral and Décor Department Manager. 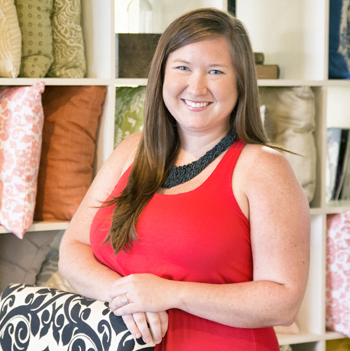 Her attention to detail and keen eye for style helps to bring her client’s vision to life! We are excited to share a little bit more about her as she celebrates her 6th year here at Duvall. I would love to own my own venue. Some big beautiful plot of land on a river with draping oak trees… where little girls dream of getting married. It would have a gorgeous reclaimed farm house that could serve as a bed and breakfast to the wedding guests, where they can relax and have a home away from home with their closest friends and family. To my friends, dependable. To my family, compassionate. To my work family, hard working. Of course, spending time with family and friends—chasing my very active 1 ½ year old daughter consumes most of my time, but I love every minute of it! My husband and I enjoy a nice day out on the boat, a Riverdogs game, and a good dinner! What is your favorite thing(s) on our menu? Hmm, I’d have to say our tuna wonton! Or the brisket… or the pimento whipped mashed potatoes. They are all so good! What do you love most about your current position and our industry? I love my team. I am the Manager of a great group of girls that are the backbone of this department and a work culture that feels more like a family than anything. I enjoy the always changing nature of events, and the opportunity to bring someone’s vision to life. You step outside the office and find a lottery ticket that ends up winning $10 million. What would you do? First of all, pay off any debt, pay for my daughter’s college, and set money aside in a trust for her future. Then, I would build our dream home on the water, hire a live-in chef and housekeeper and take my whole family on a long vacation. What food are you? Why? Fried okra—because its my favorite southern staple! It’s a fried vegetable- the best of both worlds! What was the first sign you encountered that you were in the right industry? I was an intern for Duvall for a few months during college. When I entered the “real world” and was interviewing for a job, I kept referring to the experience I had gained during the internship. The interviewer told me, “sounds like you loved your job there” and I realized how much I really did. That day I called one of my friends at Duvall and asked for a job… I have been here ever since!